President Trump’s top spokesperson on Tuesday called House Democrats’ efforts to investigate the White House’s security clearance process “dangerous” and “shameful,” saying it could put millions of people’s personal data at risk. Sanders did not explain how the Democrats’ investigation would potentially jeopardize the broad swath of government employees and contractors’ data. 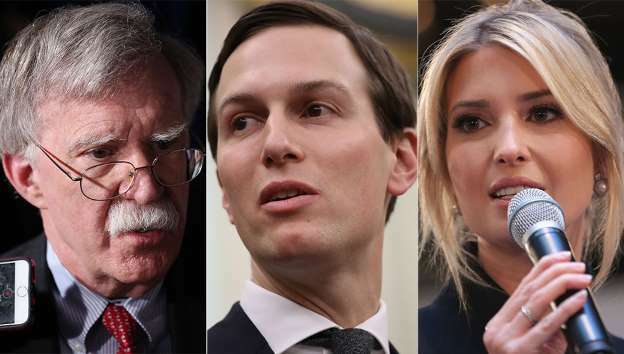 Democrats on the House Oversight and Reform Committee are examining how top White House officials, such as the president's son-in-law and daughter, Jared Kushner and Ivanka Trump, were approved for clearances despite objections from career security officials. New allegations from a White House whistleblower were made public on Monday, engulfing the Trump administration in a new round of controversy over whether clearances have become politicized. The whistleblower told the committee the White House intervened to give high-level clearances to 25 people who had previously been denied them. Sanders said the White House has “cooperated” with the Oversight panel throughout the process by giving them information on the general clearance process, but Chairman Elijah Cummings (D-Md.) has said the White House has blocked requests for information on clearances for specific individuals.